If you are a fan of the Amazon Kindle app but do not have an Amazon Kindle hardware and use the Kindle app on your iPhone or iPad, the company has requested you to not update the app to the latest version. Amazon recently updated its Kindle app for the iPhone and the iPad to fix some errors, or bugs. But this update has resulted in another major bug in the application. 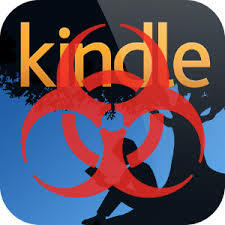 The new bug just degeristers the Kindle app from the device, and this leads to the removal or deletion of all the user data that the app had downloaded on to the device. And this means that the bug will remove all the books, music, movies, TV episodes, and just any other data that has been downloaded from the Amazon cloud to the device. This is a huge problem for the users as they will have to download everything back again, and that is not a task which can be completed within a minute. However, the company is not going to pay anything to the users for the lost content. This is because the content is just erased from the device. But the users will still have all of their purchased goods on the company’s cloud servers. They will just have to download it again to the device. But the company will have to spend some quality and quantity time on this bug to rectify it, and that is going to cost the company. Apart from this recent update, the company had updated the Kindle app for iPhone and iPad to reflect the new X Ray for books feature, which was till now available only for Amazon’s Kindle eReader hardware. I guess it is going to take the company at least a few days to get this right. Till then, be sure not to update the app, and that is if you have not already done it.